BVI Football Association » One Love F.C. closed the gap on the Sugar Boys F.C. at the top of the National League, as they overcame nearest rivals Old Madrid F.C. 3-1 on Sunday 29th April 2018. Okeyne Thenstead scored a first half double, the latter coming deep in added time before the break, to give his side a comfortable cushion, before Ofaniss Bassaragh made certain of all three points, netting One Love’s third in the 68th minute. 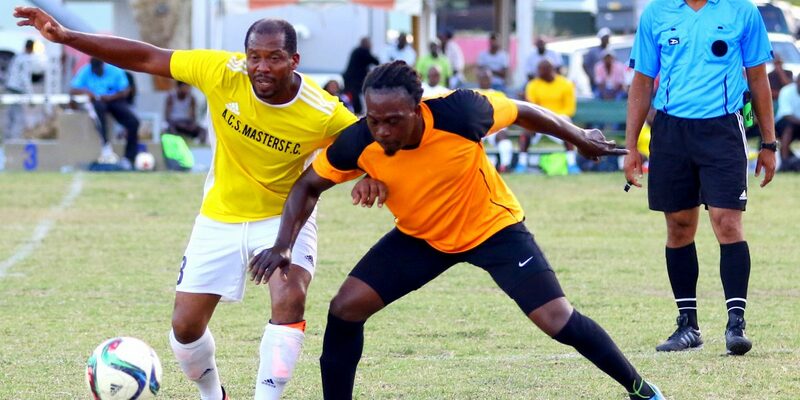 Rohan Sweeney would score a consolation for Old Madrid as time expired, but defeat saw them slip to fourth in the standings as the Islanders F.C. had no difficulty in securing an easy 8-0 victory over F.C. Sea Argo, courtesy of a five minute first half hat trick from Fitzroy Daley, who scored in the 18th, 22nd, 23rd minutes. Daley would add a second half hat trick to take his personal tally to six and whilst Ranalle Cain also scored, the biggest cheer was for Sheldon Harry who scored in the 73rd minute. 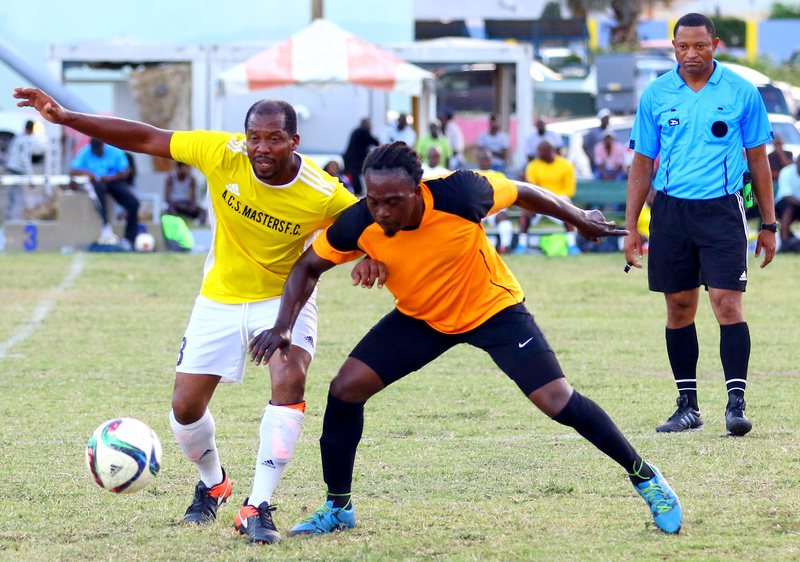 The last match of the weekend saw the Rebels F.C. continue their resurgence with a 3-1 win over the sea sawing Wolues F.C. Chadwick Evans opened the scoring for the Rebels in the 36th minute and whilst Vernol Richards made it 2-0 in the 56th minute, Phillip Nelson handed the Wolues a life line in the 89th, before Evans made the game safe with his second and the Rebels third in the 90th minute.